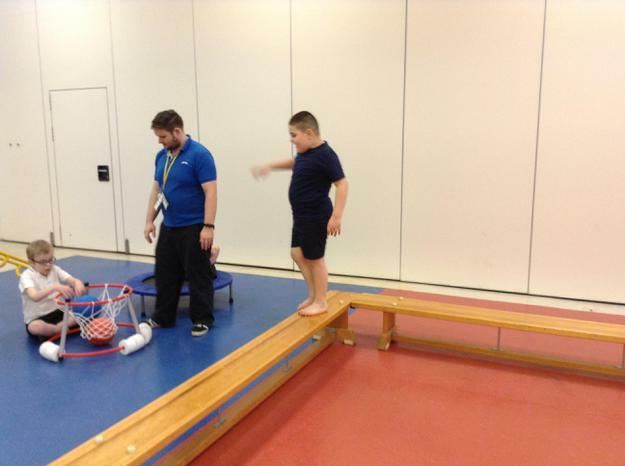 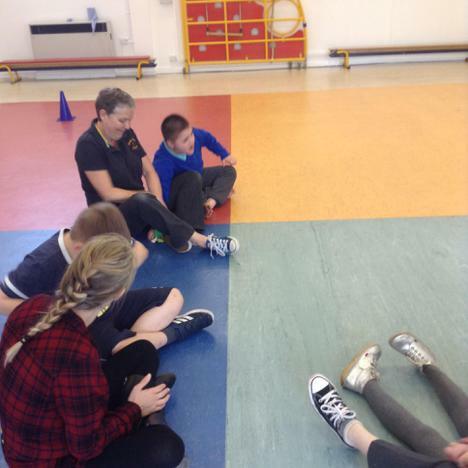 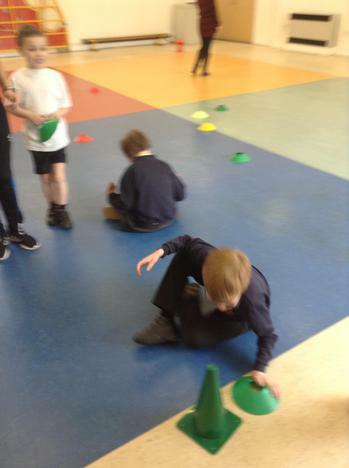 This term Aqua class have enjoyed a PE session led by Everton in the Community coaches. 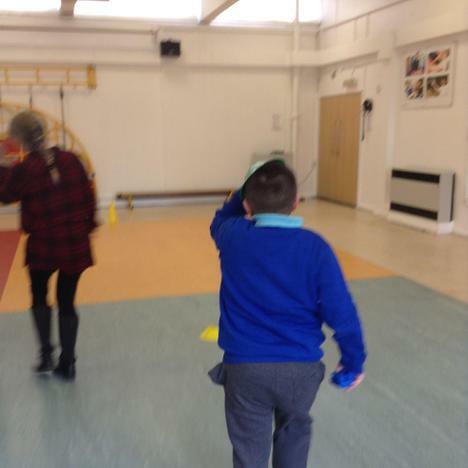 The children have worked with Ruby class during this session and they have worked hard to develop their turn their gross motor skills at the same time as working on social skills such as turn taking and working as part of a team. 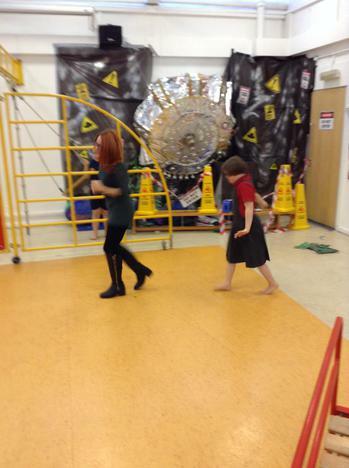 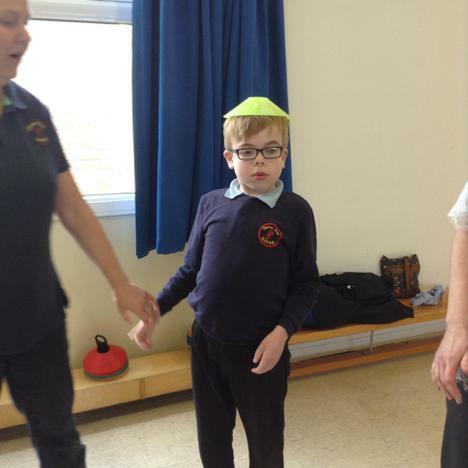 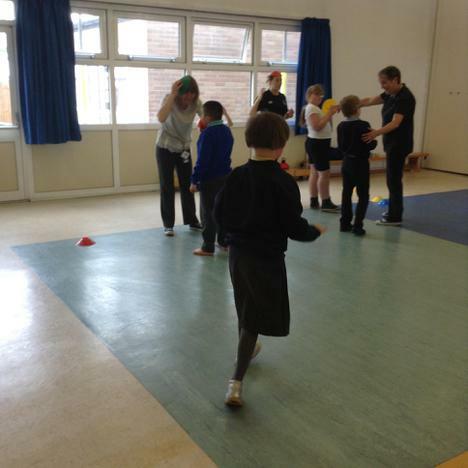 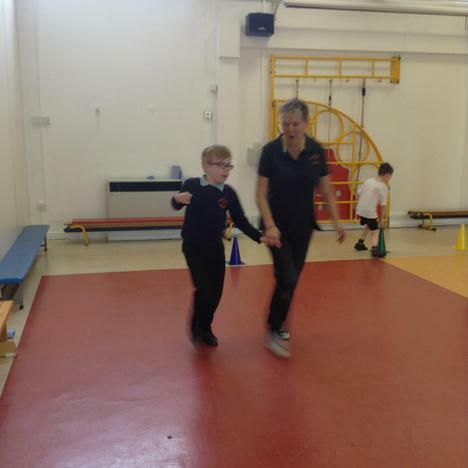 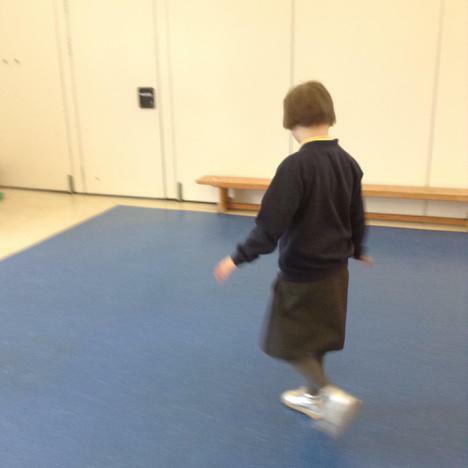 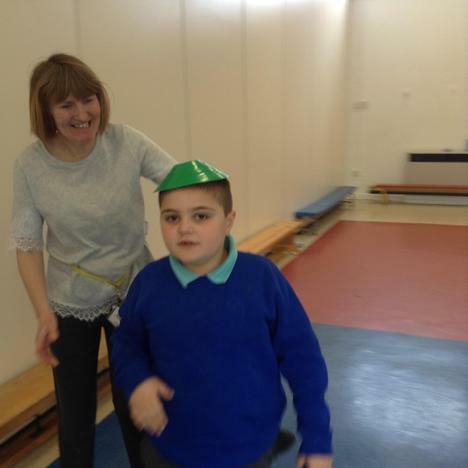 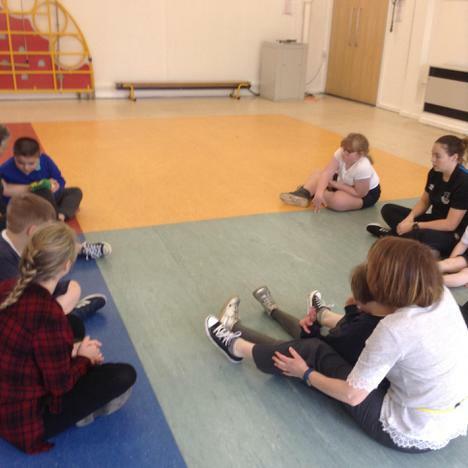 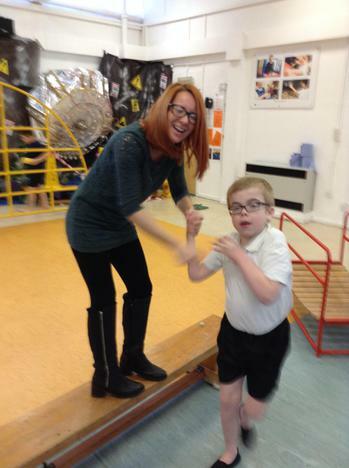 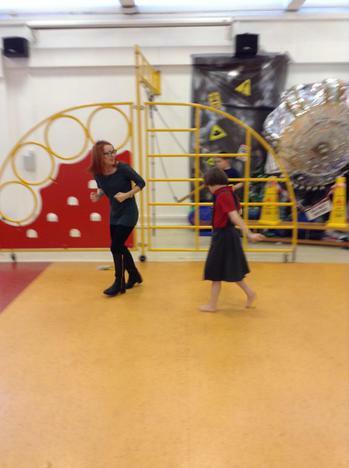 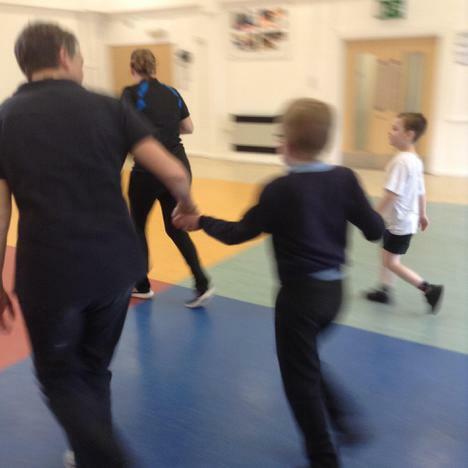 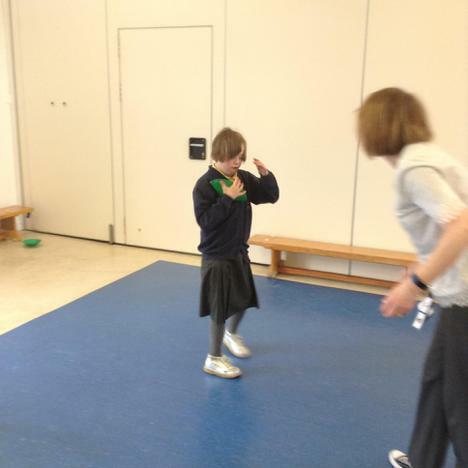 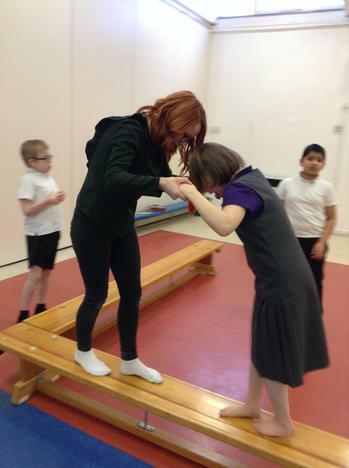 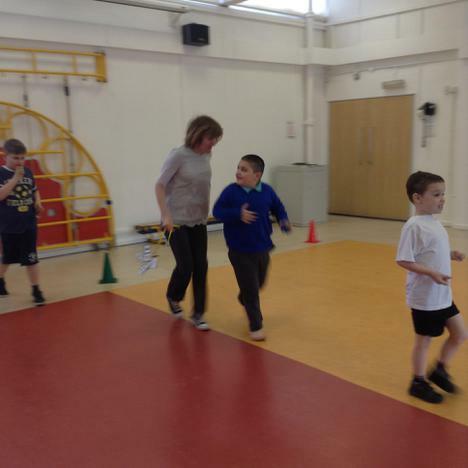 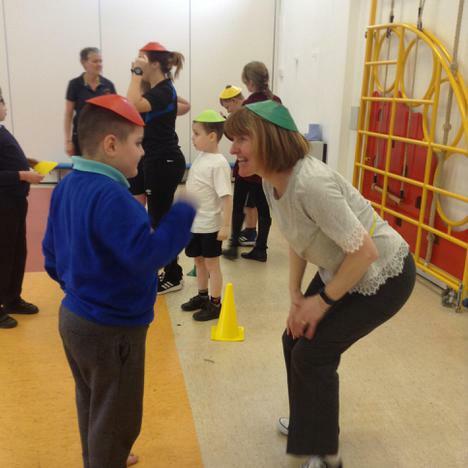 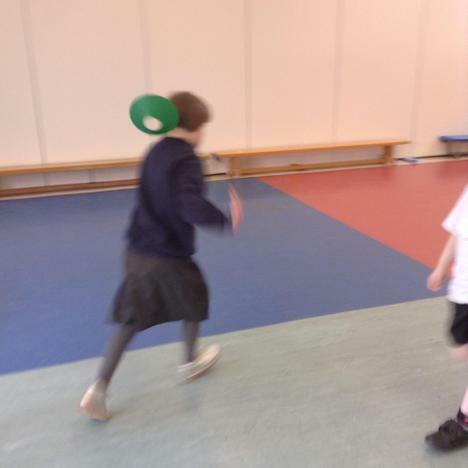 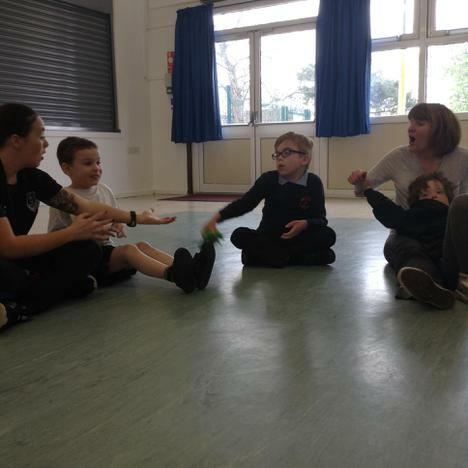 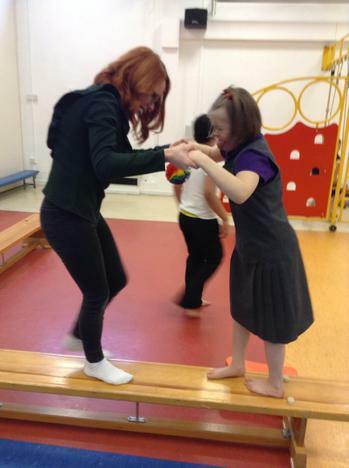 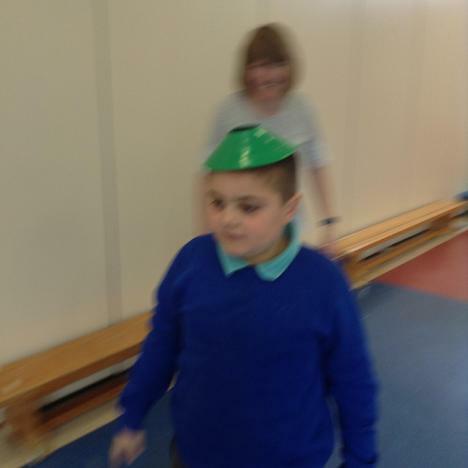 The sessions have involved games that involve the children listening to different instructions to move around the hall in different ways, such as running, jumping, hopping etc. 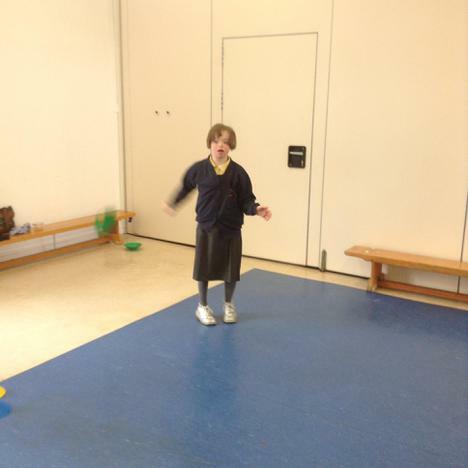 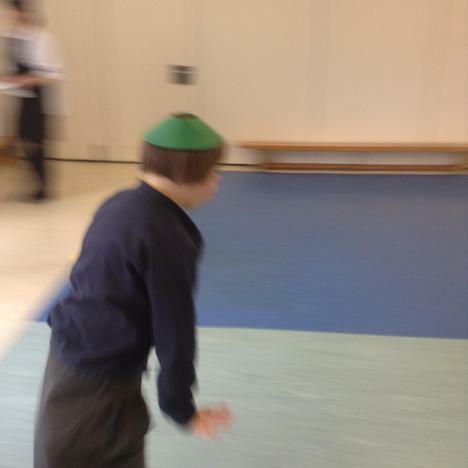 The children have also been practising their throwing and catching skills using bean bags, balls and foam javelins. 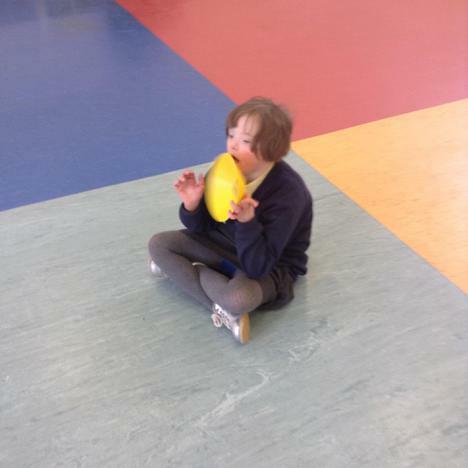 The children have also enjoyed games with their peers such as passing a ball in different ways to a friend and passing a bean bag around the circle. 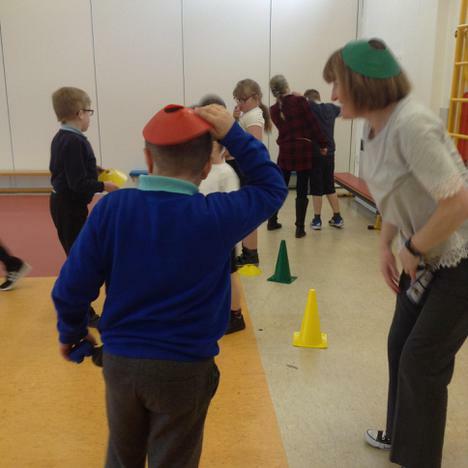 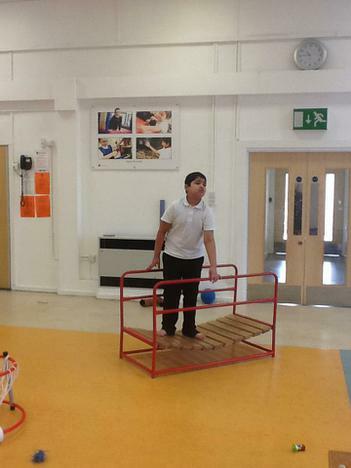 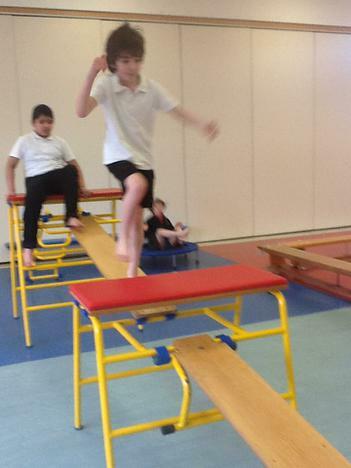 Aqua class have been enjoying our weekly PE session in the hall. 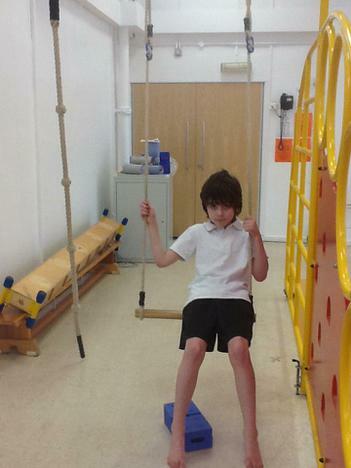 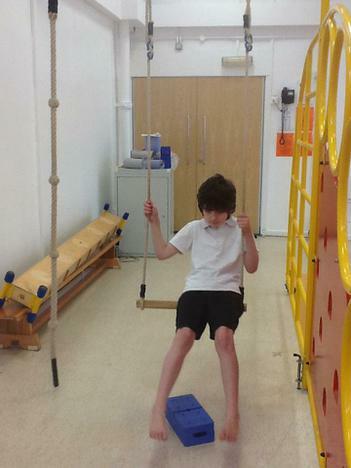 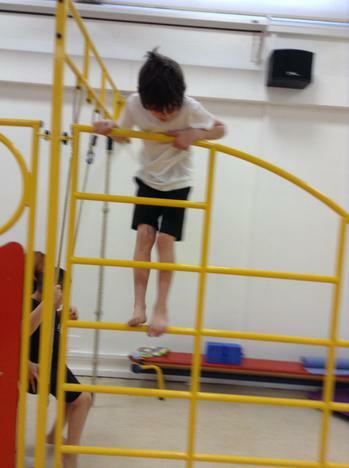 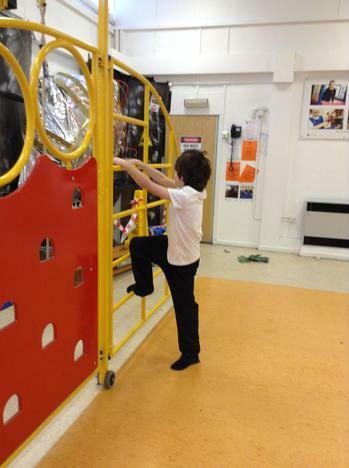 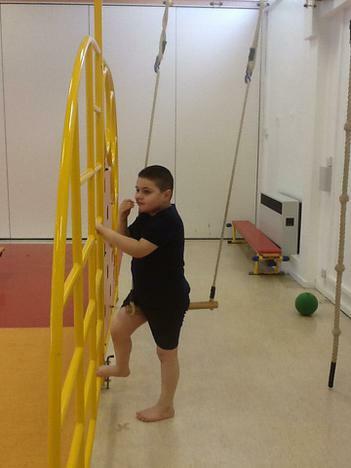 The focus this term is on developing the children's ability to use the climbing equipment. 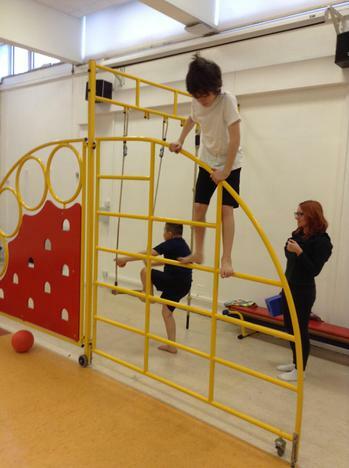 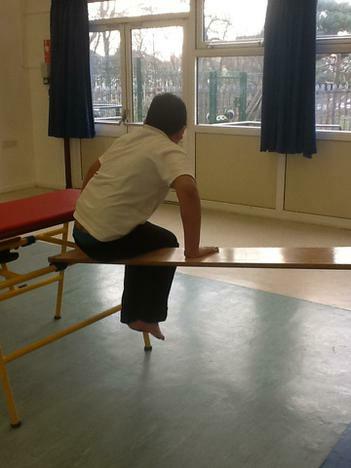 We use apparatus such as the climbing wall, swing, benches, bridge. 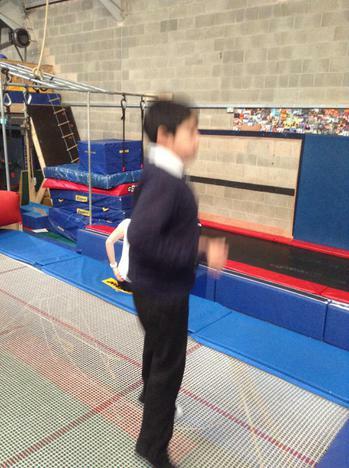 ropes, trampoline to create an assault course activity to encourage the children to use their gross motor skills such as running, jumping, climbing, rolling and balancing to complete the course. 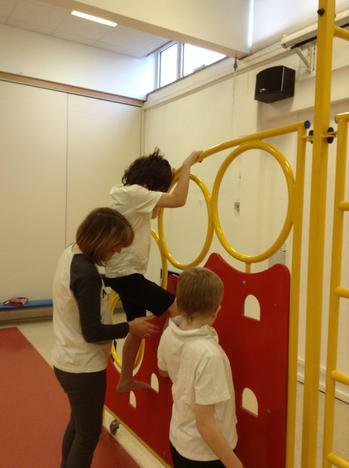 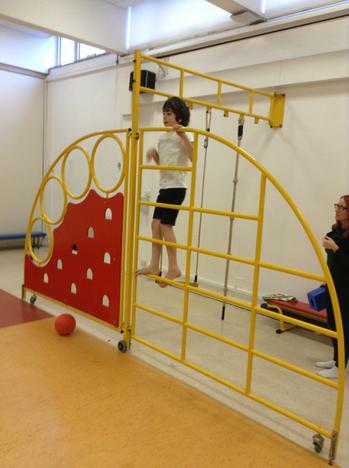 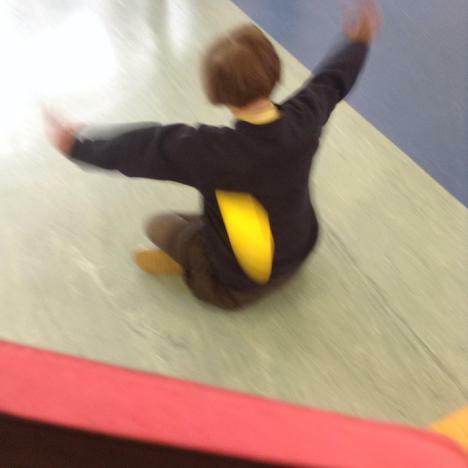 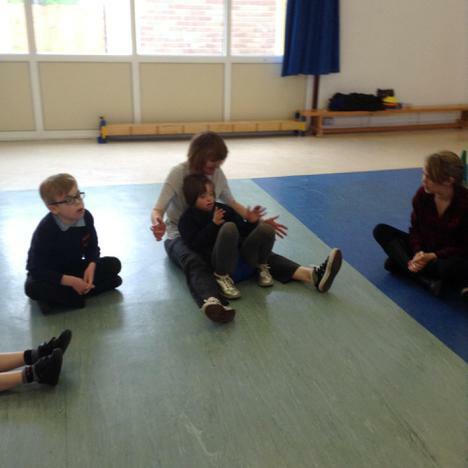 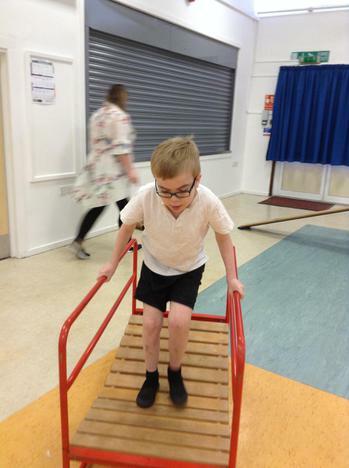 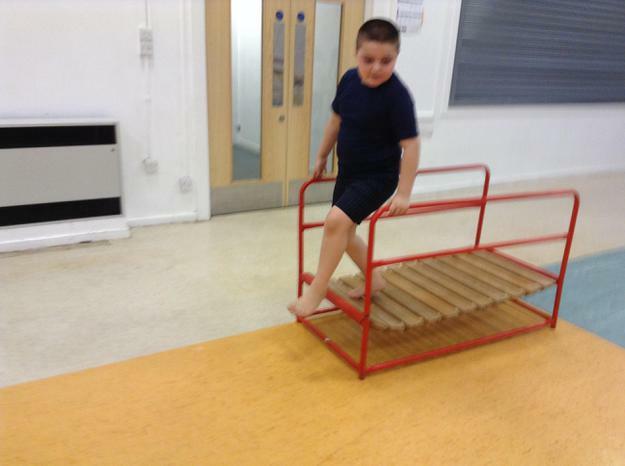 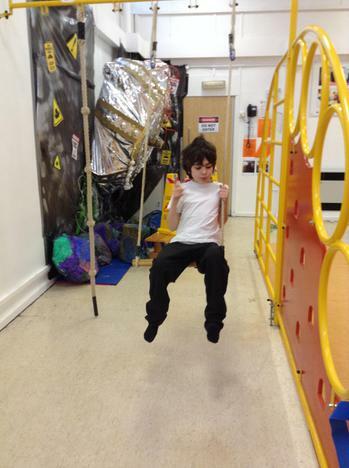 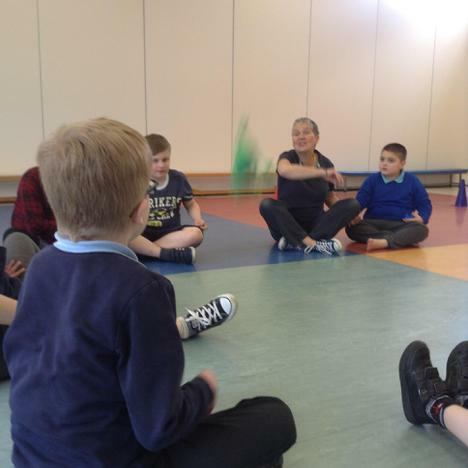 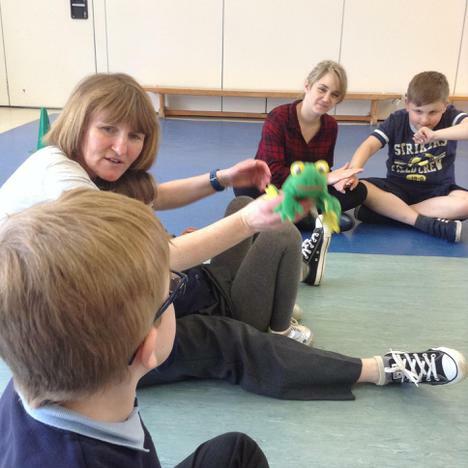 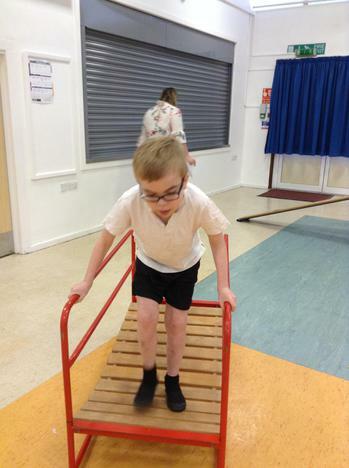 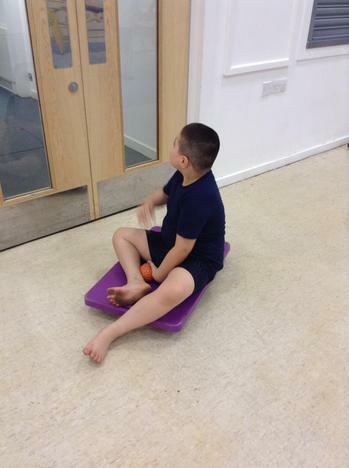 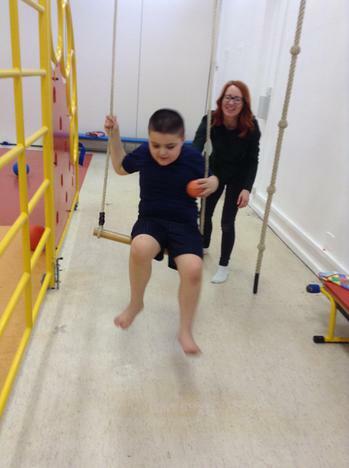 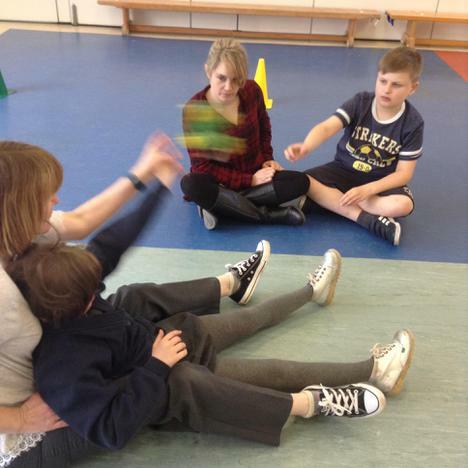 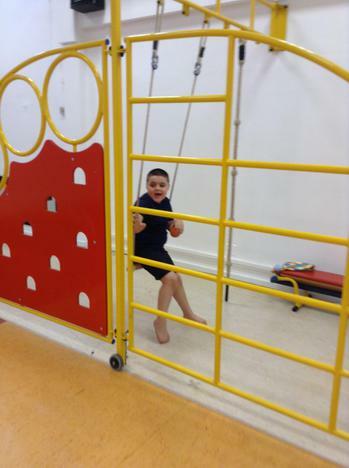 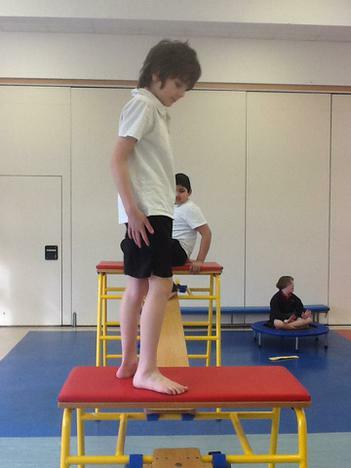 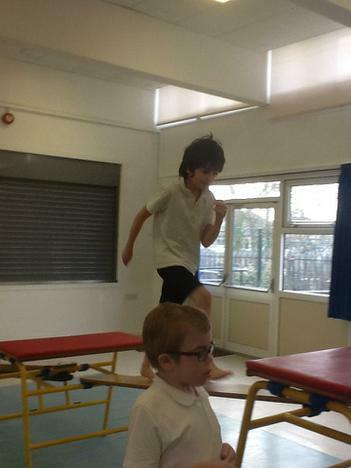 This session also gives the children excellent vestibular and proprioceptive sensory input through physical activity which helps to keep them regulated. 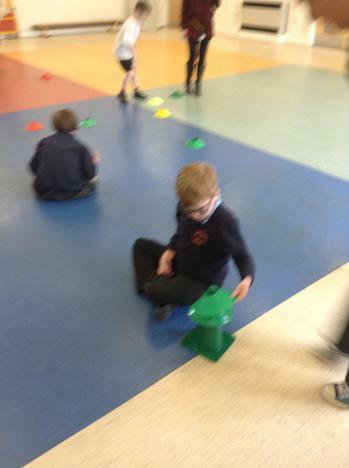 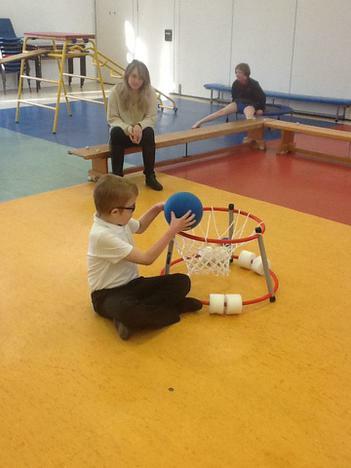 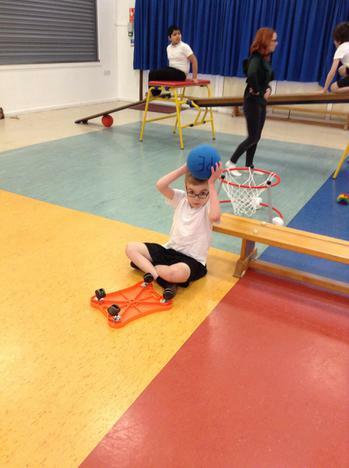 We have been very busy this term during our PE sessions. 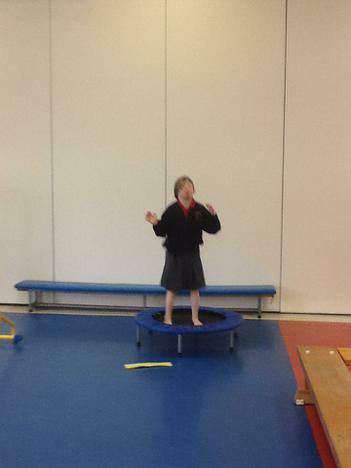 We have started a 5 week course of rebound therapy. 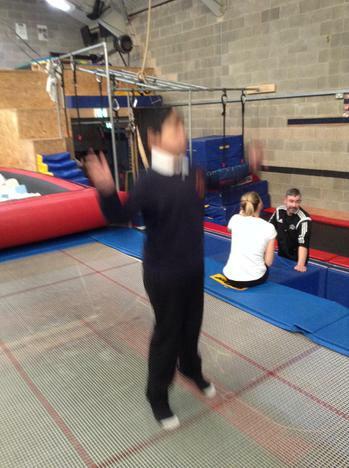 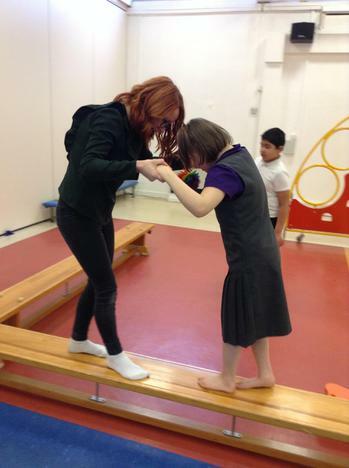 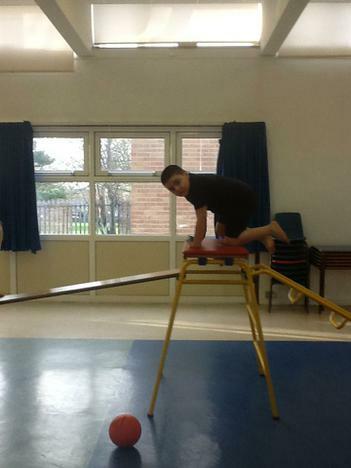 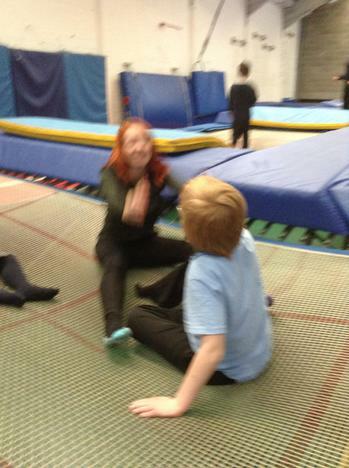 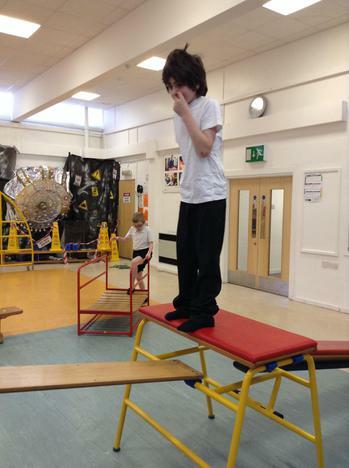 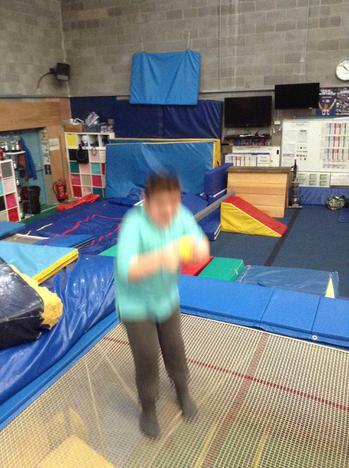 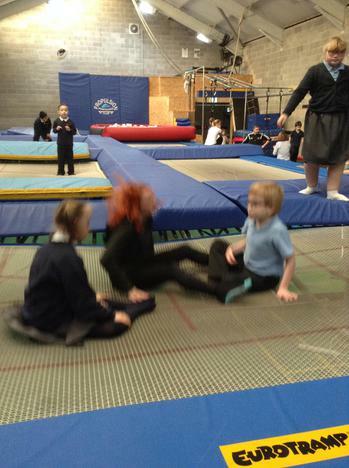 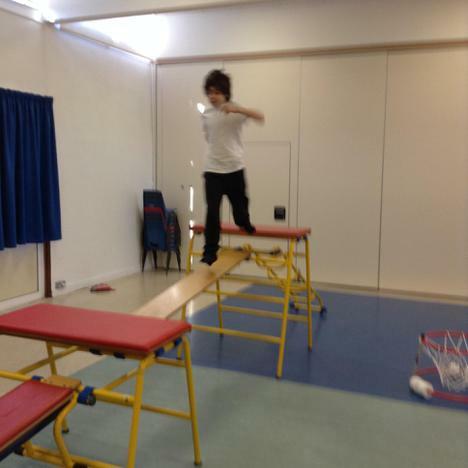 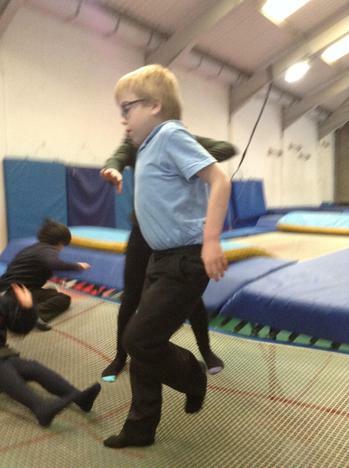 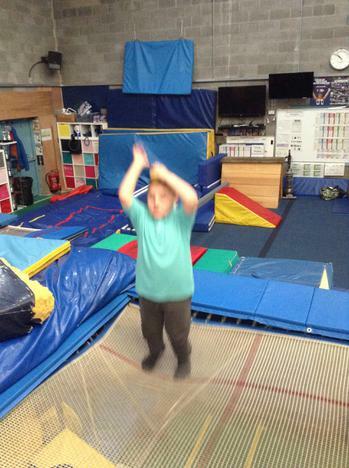 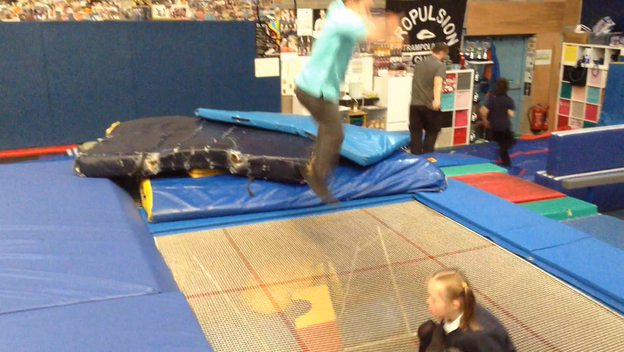 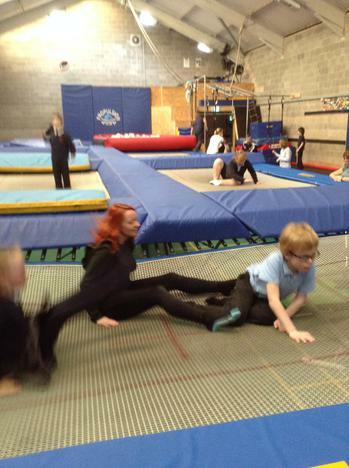 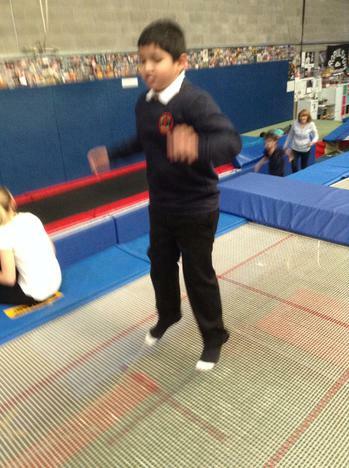 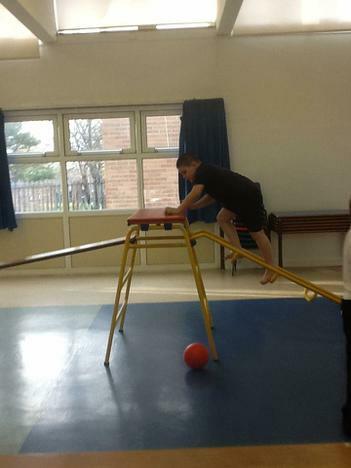 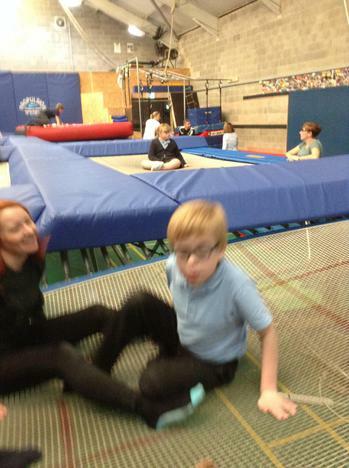 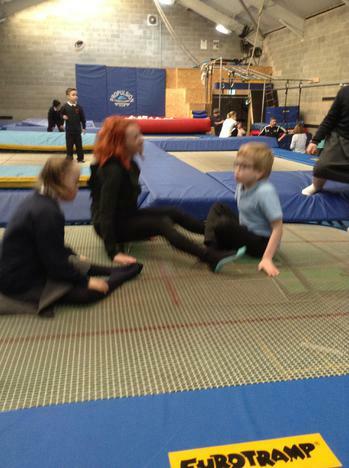 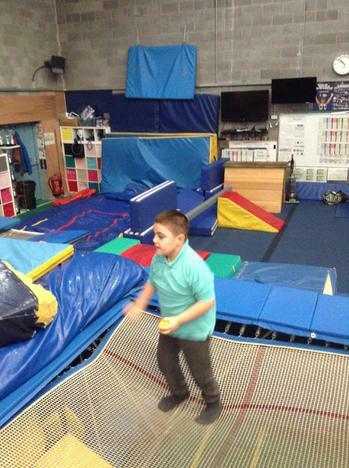 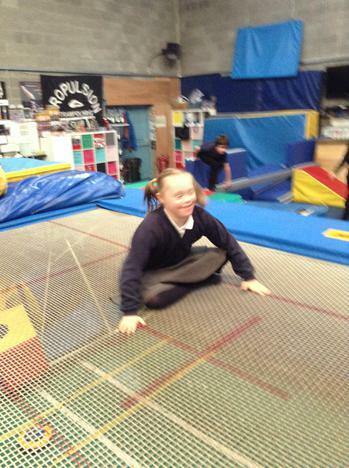 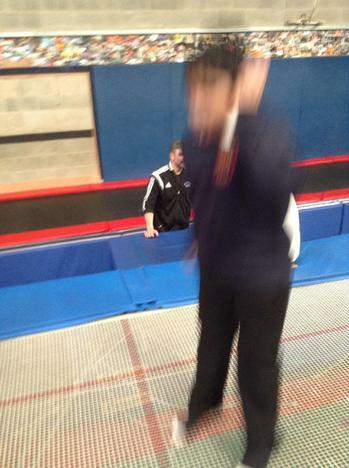 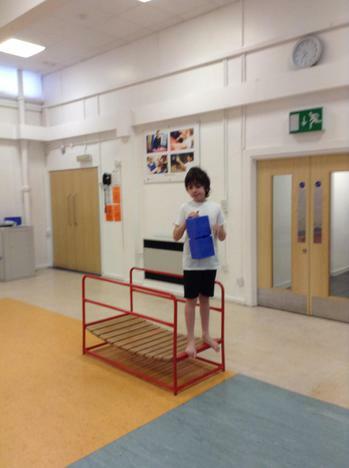 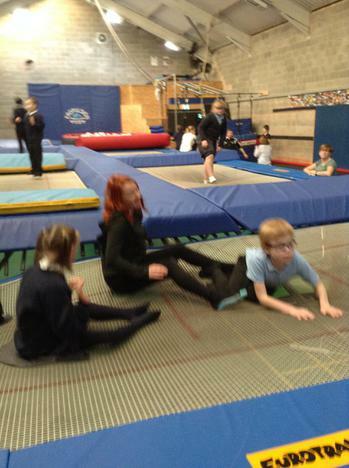 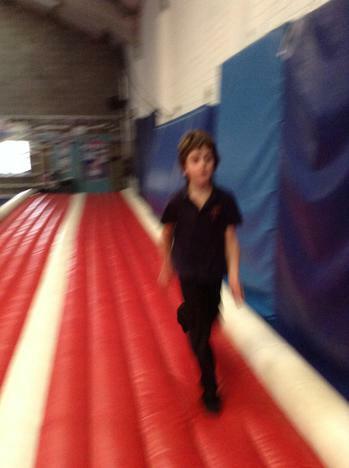 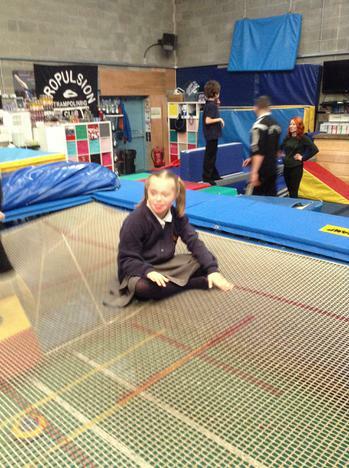 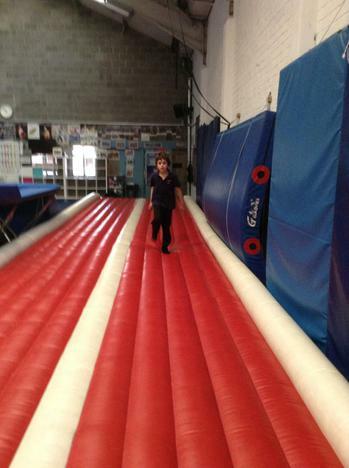 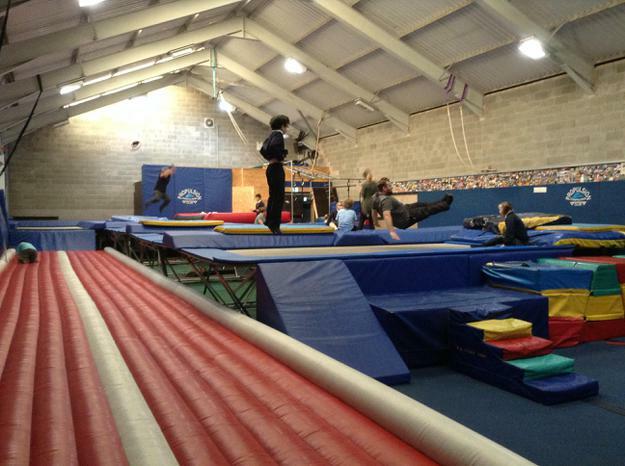 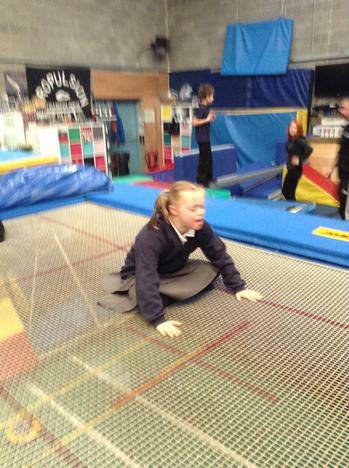 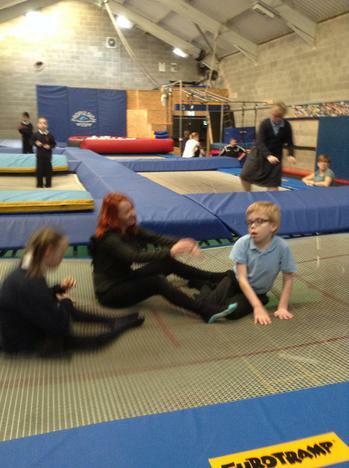 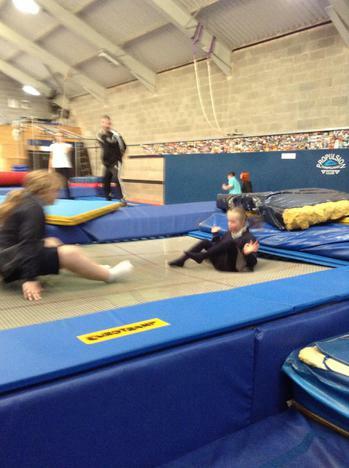 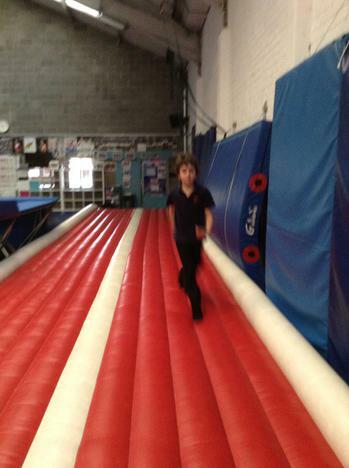 Every Monday morning we travel to Birkenhead Youth Club to use their trampolining facilities. 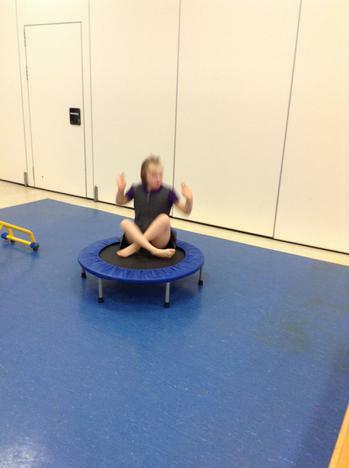 We are getting the children used to the new routine of the session but everyone really enjoyed having a good bounce and exploring all of the different equipment. 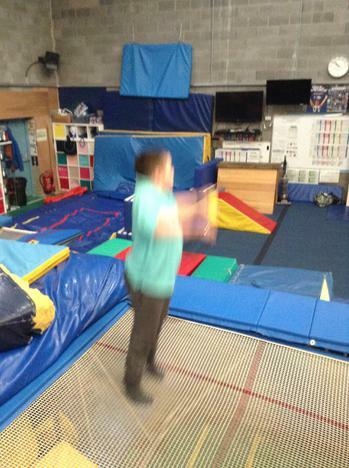 During these sessions, the children will be working on tolerating time on the big trampolines and initiating bouncing themselves, copying different movements and bounces on the trampolines and following instruction. 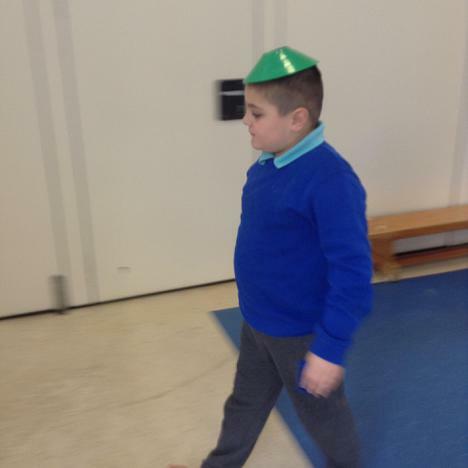 Check out our first week photographs below. 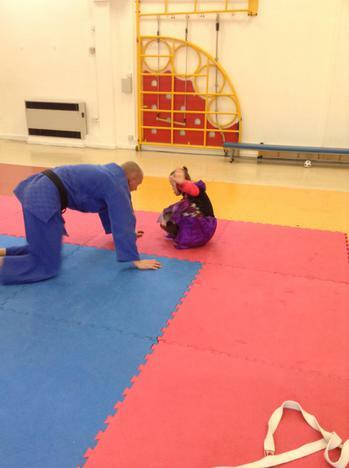 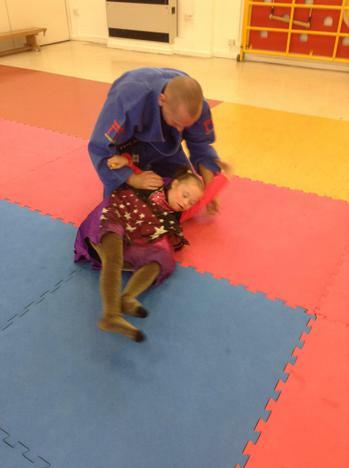 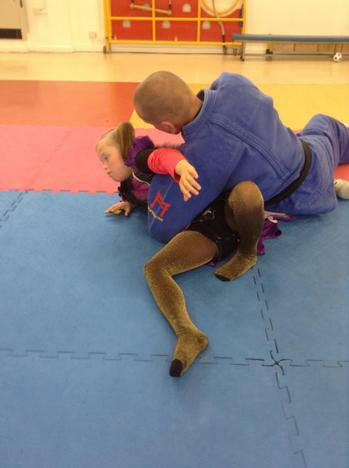 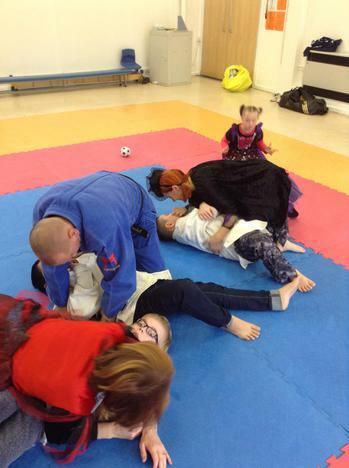 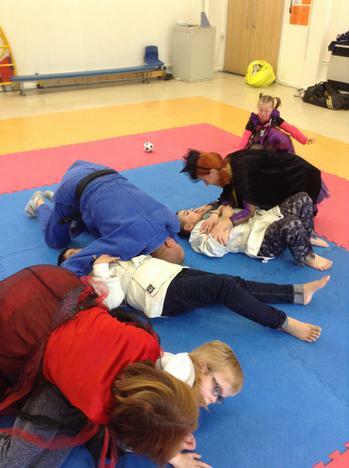 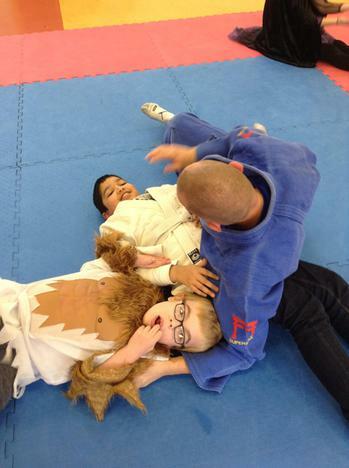 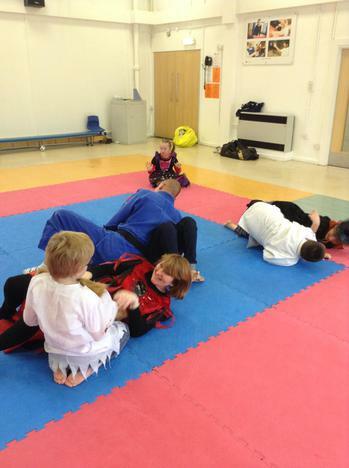 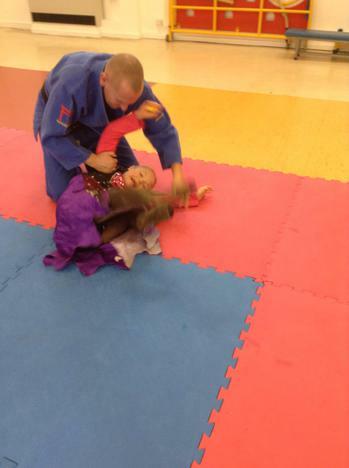 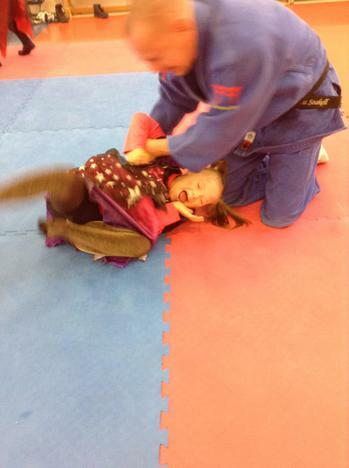 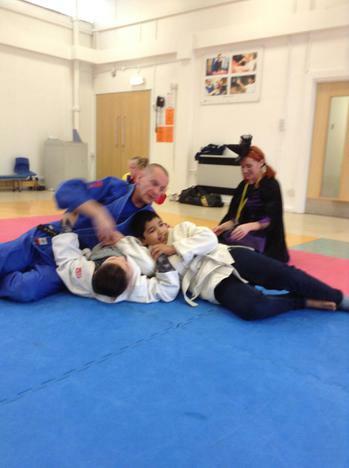 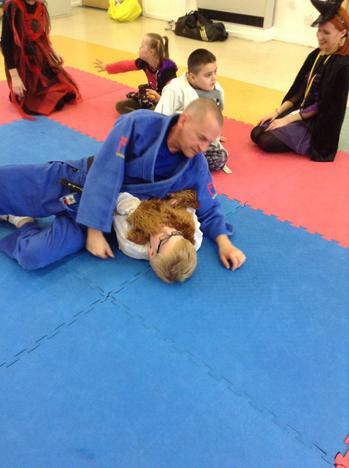 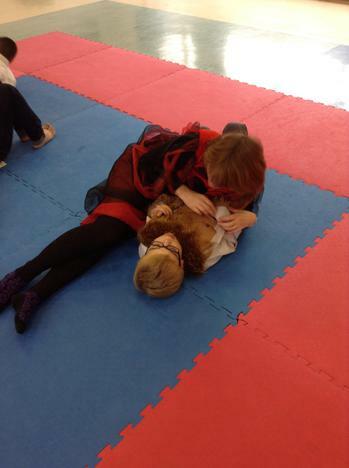 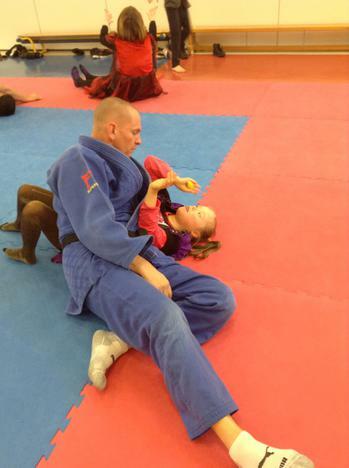 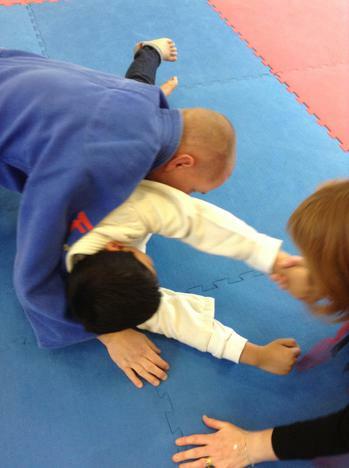 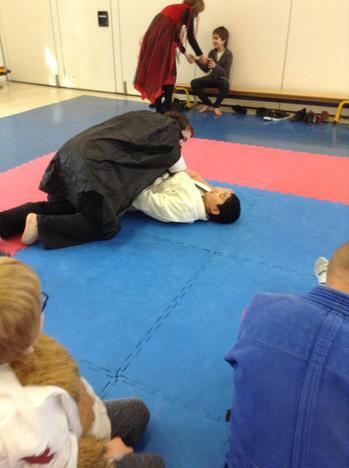 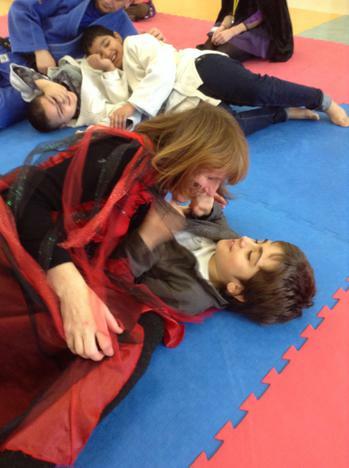 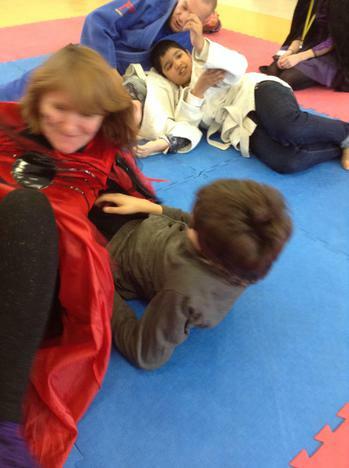 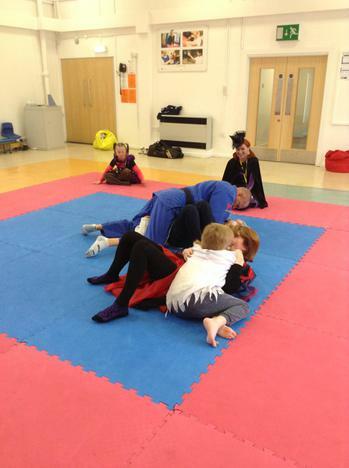 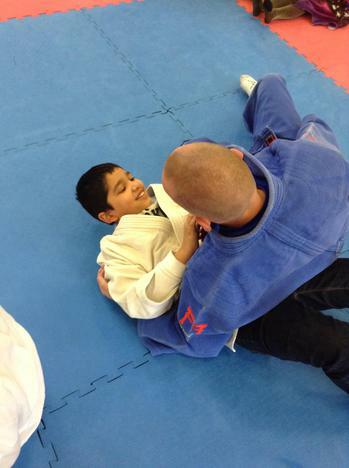 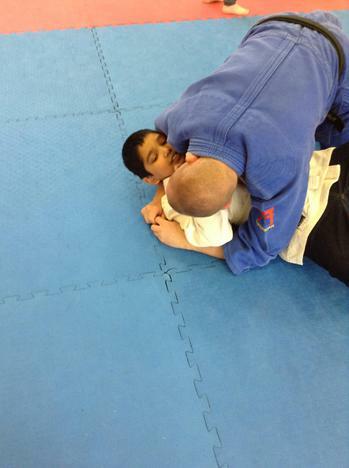 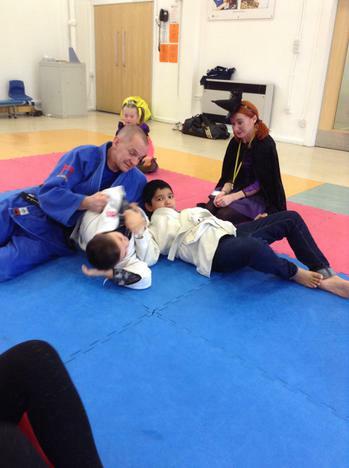 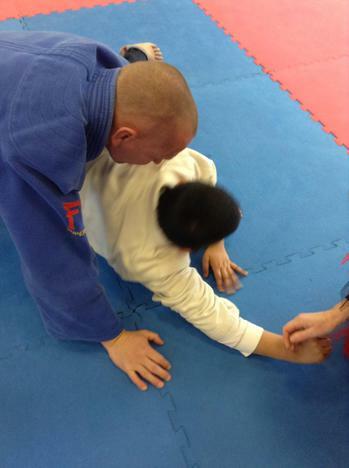 Aqua class are also lucky enough to have a 5 week Judo course every Tuesday morning with a fully trained judo teacher. 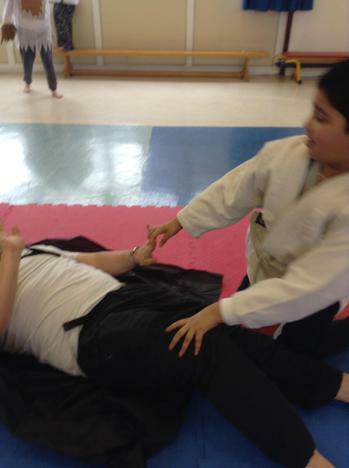 The children are getting used to the sessions and some of the benefits of judo and the areas that will be developed during the 5 week course are improved muscle tone and spacial awareness, fitness, coordination, social interactions and self esteem and communication as well as an introduction to some Judo skill and technique. 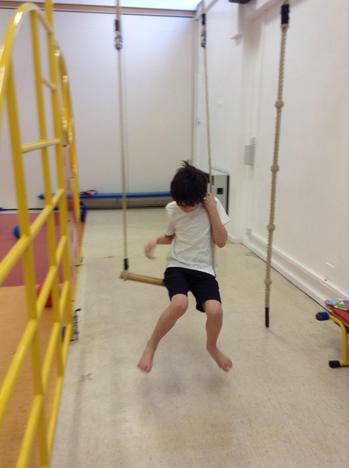 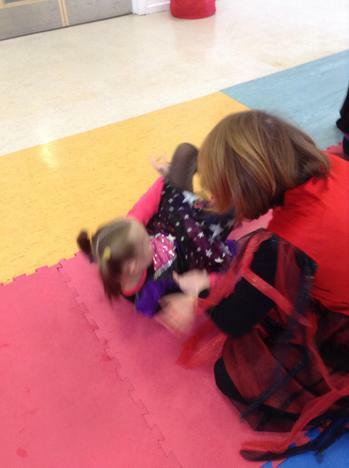 It is a really fun session that the children enjoy! 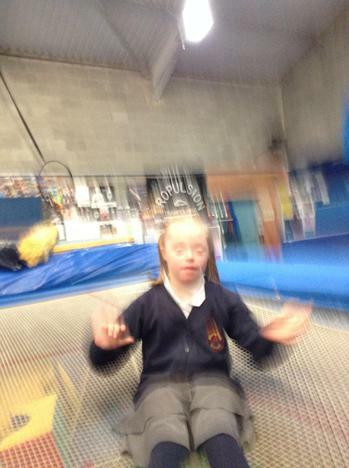 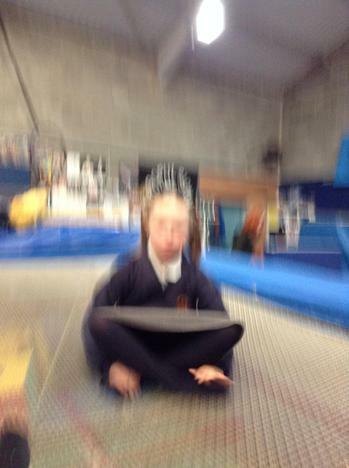 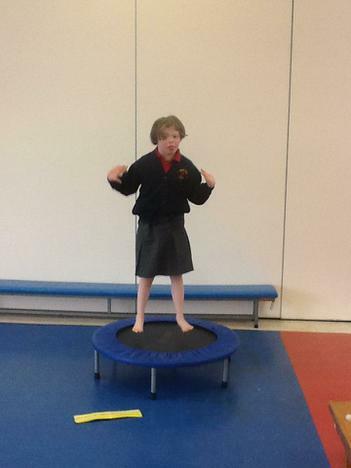 Lucy doing some excellent seat drop bounces on the big trampoline. 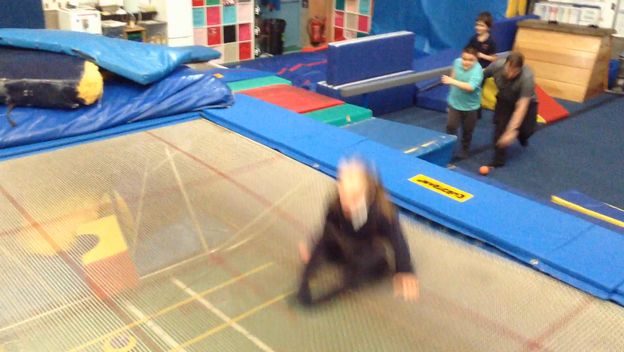 Kayden showing confidence whilst doing straight leg bouncing on the big trampoline. 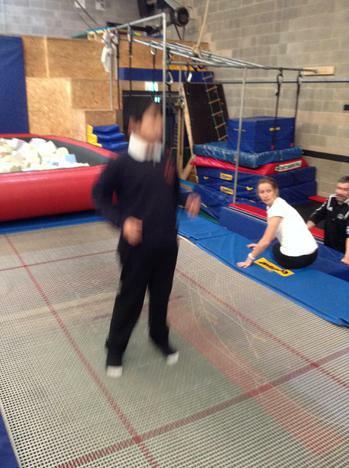 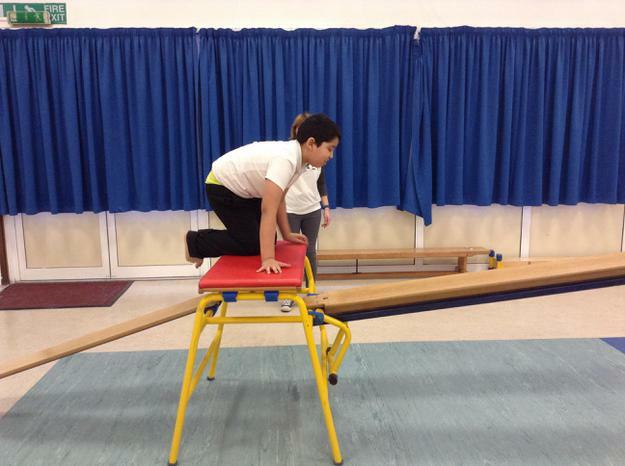 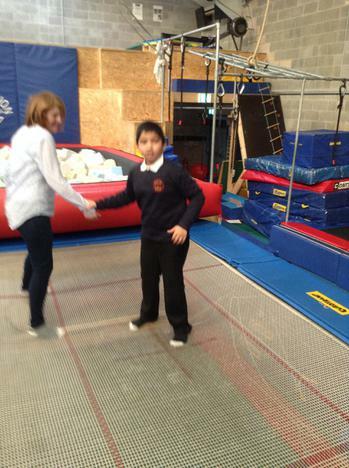 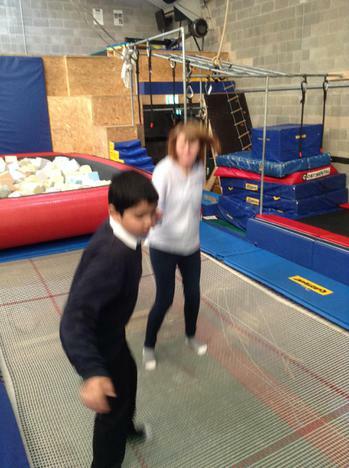 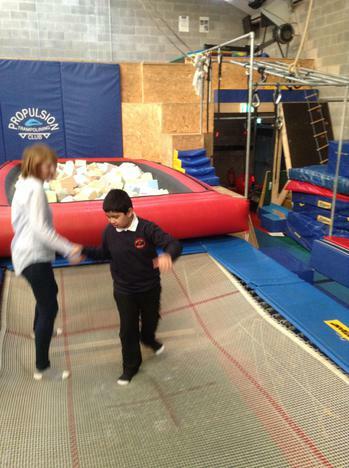 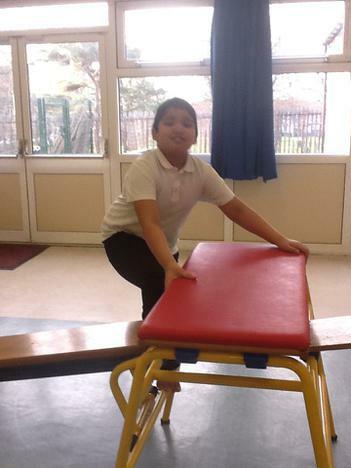 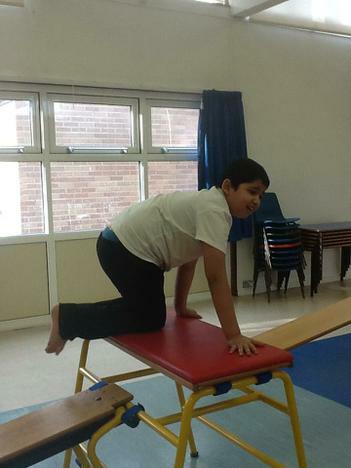 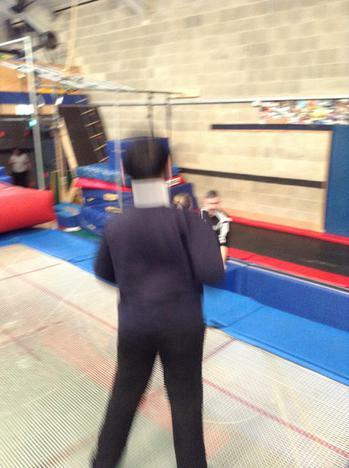 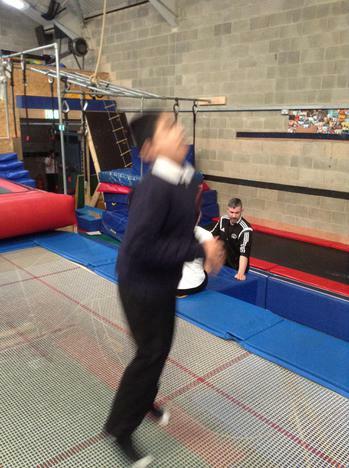 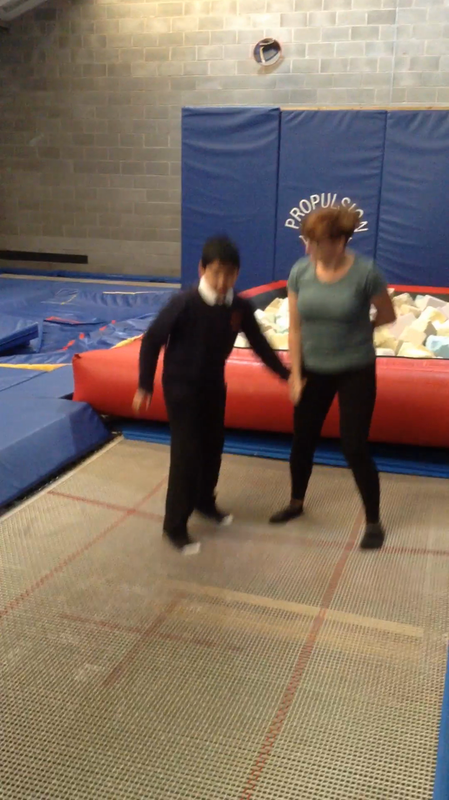 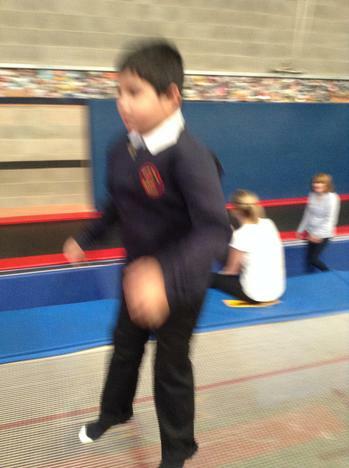 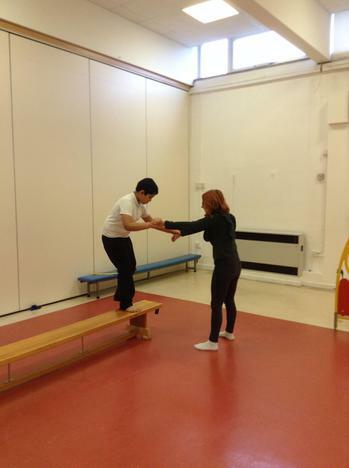 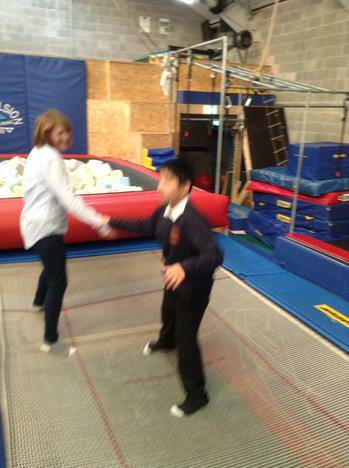 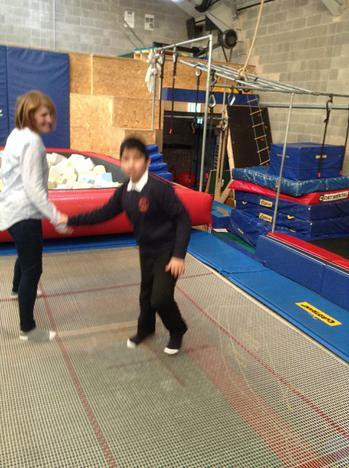 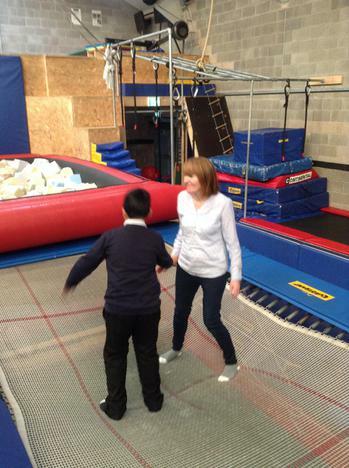 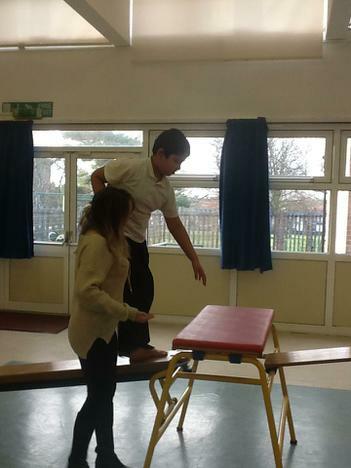 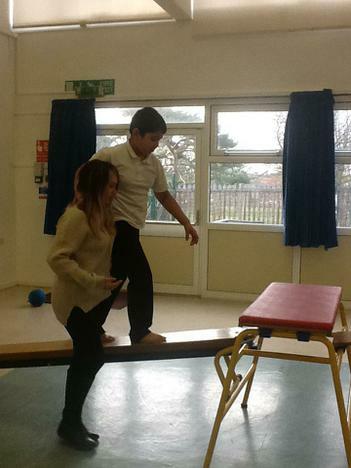 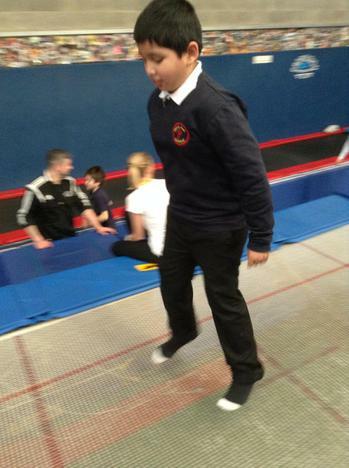 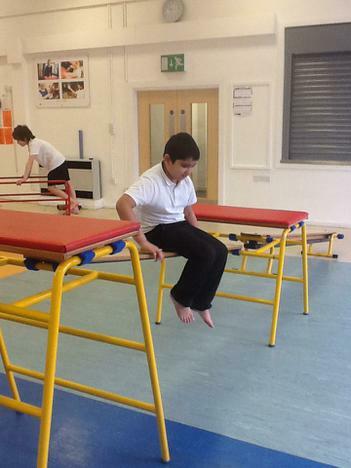 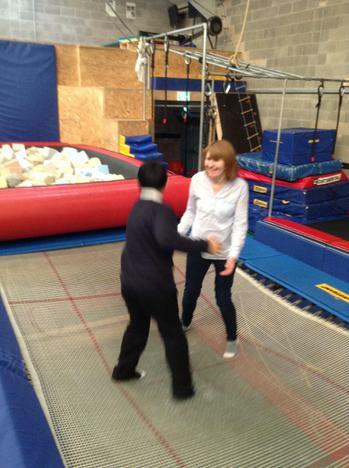 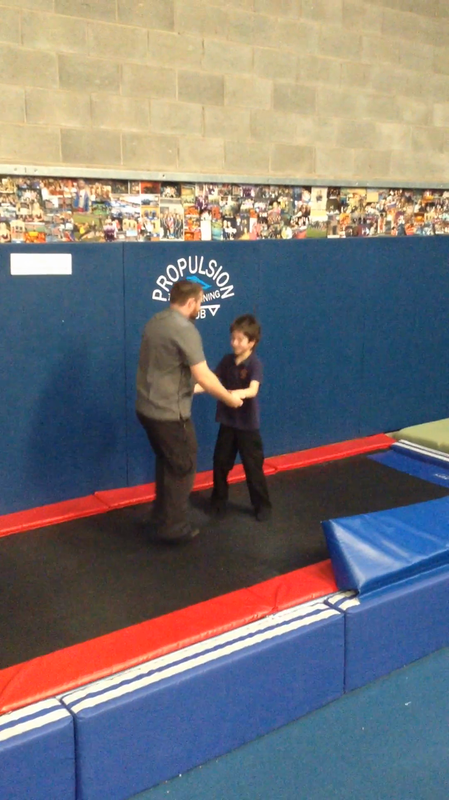 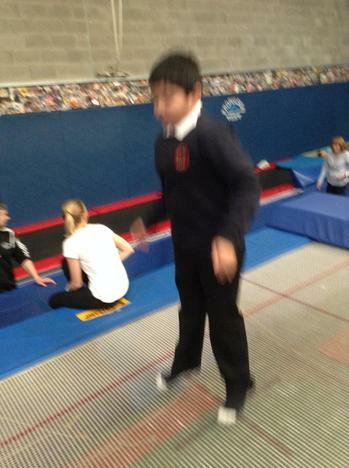 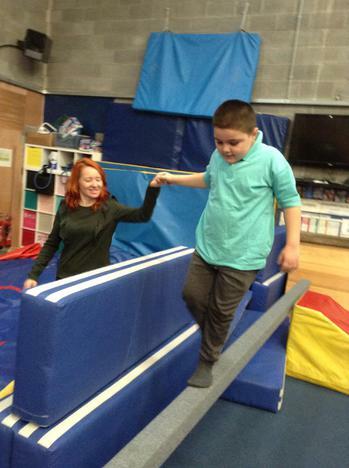 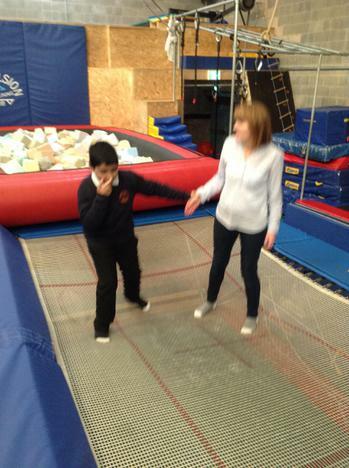 Sahil showing a growing confidence bouncing on the big trampoline with some adult support. 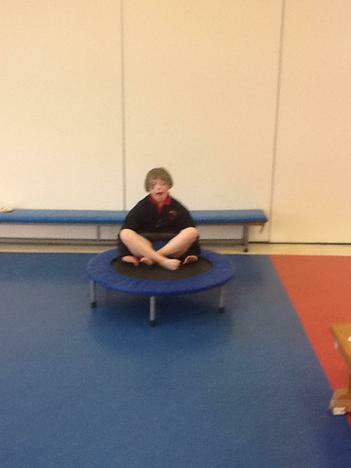 Owen copying bouncing movements on the air bed.